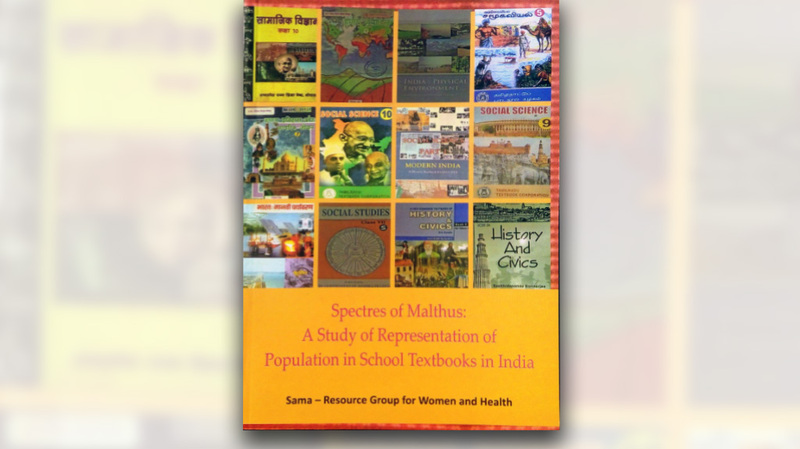 This research report presents Sama’s study of the representation of population in school textbooks in India. It is based on reviews of social science textbooks prescribed by various state and central boards for classes 7 to 12. The study aims to examine the notion of population and/ or overpopulation represented in textbooks. It foregrounds textbook representation of population in the larger discourse on demography. In post independent India, the policy makers and planners identified population as a big hurdle in the way of effectively addressing the issues of poverty, unemployment, health, education, and housing. The oversimplification and lopsided representation of formative concepts in the school textbooks precludes any critical understanding of current debates on most social issues. Influencing young minds with such serious misconceptions means affecting the personal and social lives of children at the most basic level. In such a context, it is important to study and understand the representation of population within school textbooks. The study involved a detailed and systematic reading of textbooks in order to list all explicit and implicit mentions of population issues, followed by a review of the content. It reveals that all references to population in these textbooks emphasize that the population of India is increasing without any reference to the difference between an absolute increase in the population and the birth rate. The myth of people-as-problem is seen being propagated in these textbooks. The review shows that Indian school textbooks continue to be based on the premise that favourable attitudes toward the small-family norm must be inculcated among children for improving their own standard of living as well as for furthering the national interest.